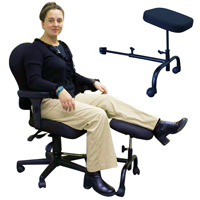 When working at a non-adjustable desk that is too high the chair must be elevated in order to get the proper ergonomic alignment of your arms. 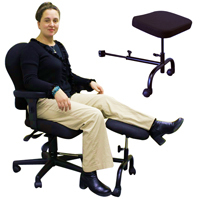 However, by elevating the chair the feet no longer rest flat on the floor. As a result there is a tendency to lean forward which places extra stress on the neck and low back. The simplest solution in this scenario is to use a footrest. 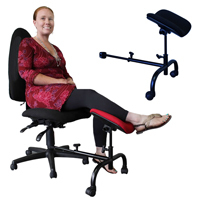 The footrest provides a platform on which the feet can rest, which allows you to adopt a more ergonomic posture. 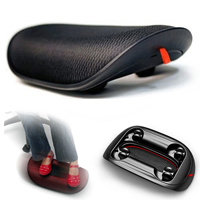 Click here for the Inzone Footrest. 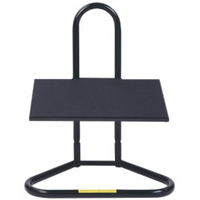 Click here for the Score Freestanding Leg Rest (single and double). 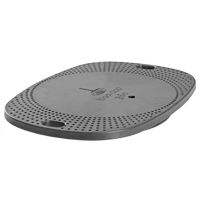 Click here for the Back App 360 Balance Board. 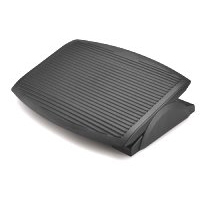 Click here for the Webble Footrest. 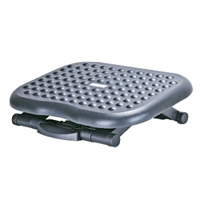 Click here for the AIData Adjustable Footrest. 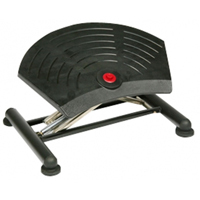 Click here for the AIData Relaxing Footrest. 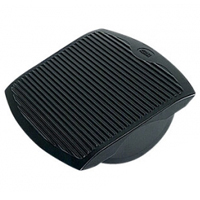 Click here for the Score Foot Activated Height Adjustable Footrests. 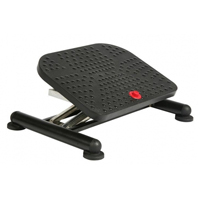 Click here for the AIData Luxe Comfort Non-Locking Footrest. Click here for the Toasty Toes footrest. 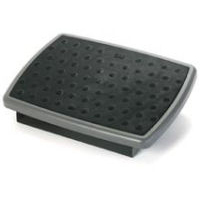 Click here for the Industrial Foot Rest (Fixed Tilt). 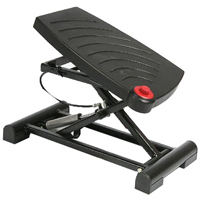 Click here for the Rocking Footrest. 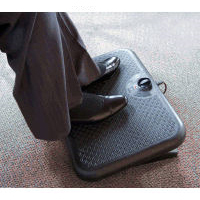 Click here for the Non-Locking Adjustable Ergo Plus Foot Rest. 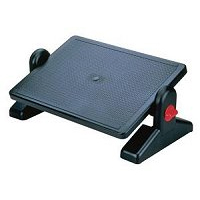 Click here for the Non-Locking Adjustable Metal Foot Rest. 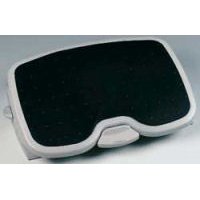 Click here for the SoleMate Comfort with Memory Foam. Click here for the SoleSaver. 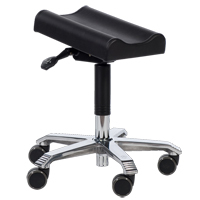 Click here for the ErgoUP Double Leg and Foot Rest. 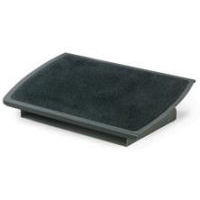 Click here for the ErgoUP Single Leg and Foot Rest. 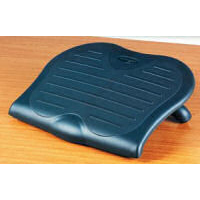 Click here for the ErgoCURVE Single Leg and Foot Rest. 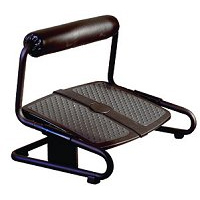 Click here for the EZ-RYZE ARC Footrest. 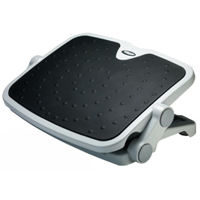 Click here for the EZ-RYZE MATRIX Footrest. 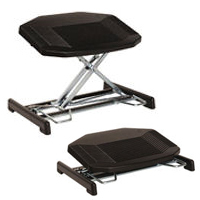 Click here for the EZ-RYZE SOLO Footrest.